Such is the power of music…. 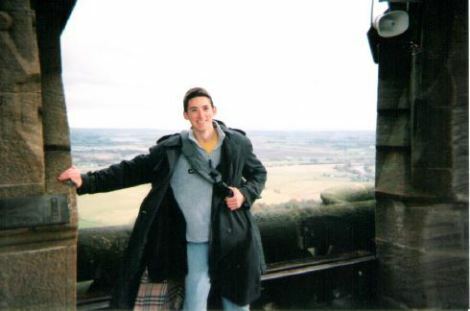 A picture of me standing on top of the William Wallace Memorial in Stirling, Scotland, overlooking one of the battlefields where Wallace fought for freedom. Any musician will tell you that music offers the ability to transport its listeners to another place and time, allowing you to relive old memories in a powerful and moving way. Have you ever wondered why this is? This entry was posted in Encouraging others, Glorifying God, Thankyou for the Music and tagged music benefits, Power of music. Bookmark the permalink. ← How do you measure if Christ is growing in you? Wow – thanks for the reblog – I appreciate it! Music really is a more powerful gift than we realize sometimes…have a good one!